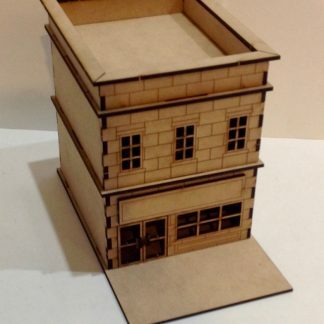 This building was designed as a basic brownstone store. 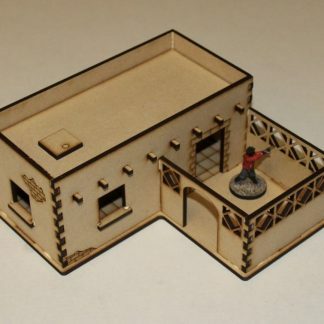 BR012 and BR013 are mirror images of each other on the main floor, with different second floors. 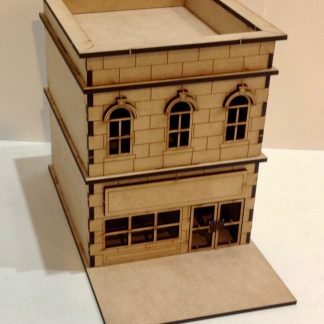 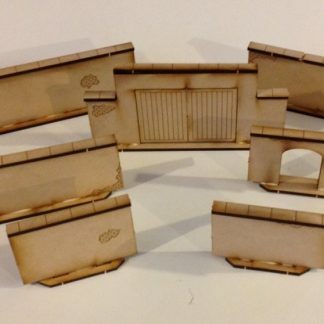 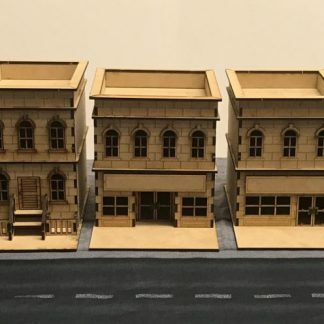 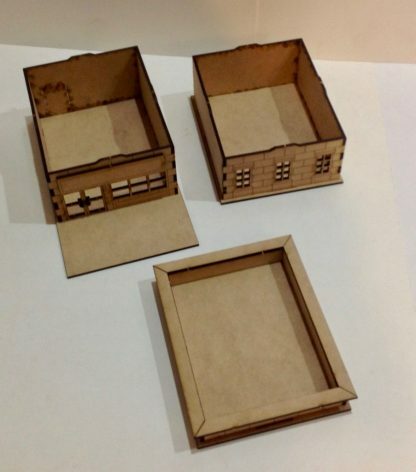 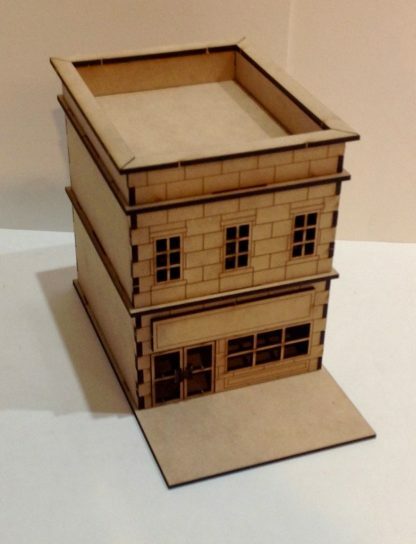 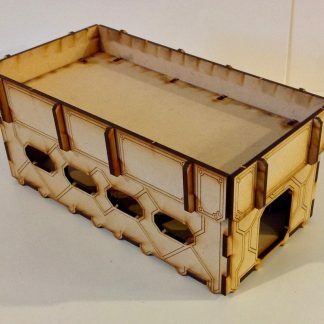 The base of the building is roughly 8 1/2″ deep x 5″ wide (215mm x 125mm), the building itself is roughly 6″ deep x 4 3/4″ wide x 6 1/2″ tall (150mm x 120mm x 165mm).